Union County, NJ – As the fall cleanup season begins, the Union County Board of Chosen Freeholders is offering several free recycling events throughout October. These events are open to all Union County residents. Union County’s scrap metal recycling program is held on the first Thursday and third Saturday of each month. The next upcoming dates are Thursday, October 4 and Saturday, October 20. Residents can use either of two drop-off locations for scrap metal: the Emergency Services Building at 151 Kenilworth Boulevard in Cranford and Rahway River Park off St. Georges Avenue in Rahway. Both locations are open for scrap metal drop-off from 9:00 a.m. to 12:00 p.m. on October 4 and October 20. Metal appliances, bicycles, air conditioners, and metal lawn furniture are among the many kinds of scrap metal items that are accepted. Union County will also host two mobile document-shredding events in October. The first will be held on Saturday, October 6 at the Union County Vocational-Technical Schools campus, located at 1776 Raritan Road in Scotch Plains. A second event paper shredding event will be offered on Thursday, October 18 at Galloping Hill Golf Course, located at 3 Golf Drive in Kenilworth. Both events will run from 9:00 a.m. to approximately 1:00 p.m., rain or shine. The events will end early if the shredding trucks reach capacity. Residents can bring up to four bags of confidential documents for shredding weighing less than 10 pounds each. The final Household Hazardous Waste recycling program of 2018 will take place on Saturday, October 27 at Nokia, located at 600 Mountain Avenue in New Providence. The event will run from 9:00 a.m. to 2:00 p.m. Accepted items at the Household Hazardous Waste event include old pesticides and herbicides, pool chemicals, gasoline, oil-based paints, propane tanks, deck stain, automobile tires and more. 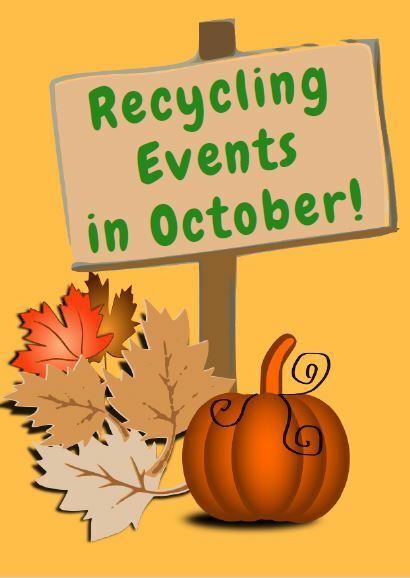 As part of Union County’s recycling programs, these events support the goals of Freeholder Chairman Sergio Granados’s Moving Union County Forward “Plant a Seed” initiative for building countywide participation in recycling, and engaging the public in conservation and environmental education. The Freeholder Board is also encouraging residents to sign up for “Recycle Coach,” a free app that makes it easier to stay up to date about countywide recycling information and municipal recycling schedules. More information can be found at ucnj.org/recycling/recycle-coach-app. For more details on all Union County recycling events and programs, visit ucnj.org/recycling or call the Union County Recycling Hotline at 908-654-9889. For quick links to all Union County environmental programs and activities, visit The Green Connection at ucnj.org/green-connection.